One of the best parts about my job is the variety of shoots I get to do in a given month. Maybe it’s a corporate shoot for Mercedez Benz,NASCAR on Speed Channel, or NBC News. I never know whats on my radar next. 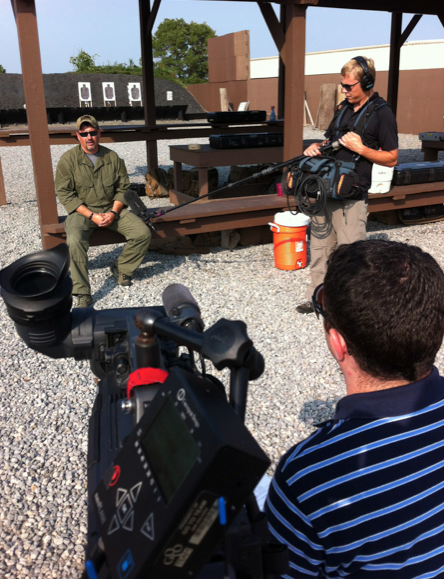 Recently, Craig Goodale and I had the opportunity to shoot an upcoming pilot being produced for Military channel. You know it’s going to be a legitimate shoot when your production coordinator asks you if you are comfortable around live gun fire and explosions. We started our day at the mobile command center where we met up with the Bureau of Diplomatic Security (DS). 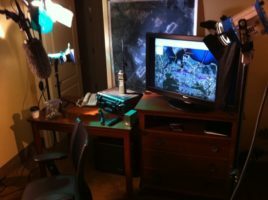 Here we set up interviews and shot B-roll of the Mobile Command Center set up and how its used. For the interviews, we actually wanted to make it look like a hotel room turned tactical. DS agents will typically operate out of whatever is available but we were still able to get creative and give the room the desired look. Our next move was to set up for a mock protection mission. We were shooting out of multiple vehicles so our Go-Pros helped us get cutaways of the other vehicles we couldn’t be in. Once nightfall hit we were off to an outdoor shooting range where the team zeroed their rifles in preparation for building entry exercises. For the night shots, I used a Sony HC9 equipped with an astroscope. 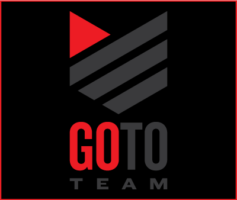 The astroscope is an amazing piece of gear because it lets you shoot in complete darkness, the cameras size also made it perfect for following the agents around in tight spaces. 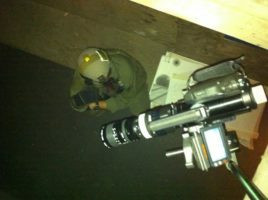 We got creative to get a birds eye view of the operation from above. For this setup, I was able to rig a Gobo arm with a few pieces from my grip kit to really get the shots I wanted. A little bit of grip gear goes a long way! 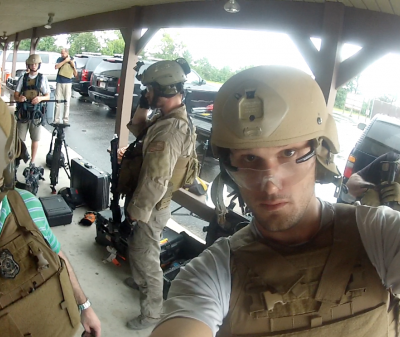 The following 2 days consisted of more interviews and training exercises at the facility. 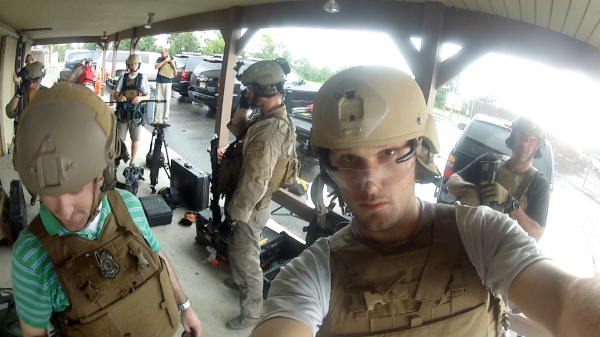 The great thing about having a total of 4 GoPros on set is that we could reset them in between drills. 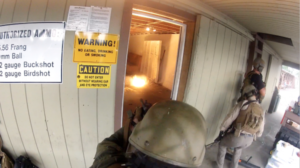 We covered every angle imaginable by mounting these guys to helmets, guns, hallways, stairways and floors. It’s not everyday that you get to throw on a kevlar vest and go behind the scenes with DS, Oh and did I mention about the flashbang that detonated 2 feet away from me?! Screen grab from the Go-Pro!